The middle school art students have been working hard on creating some terrific clay projects. 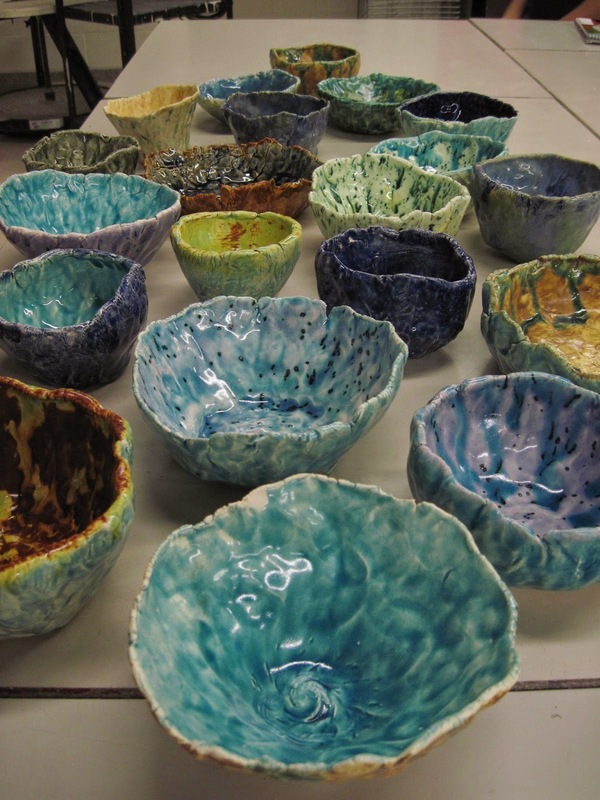 6th Graders have finished their pinch bowls and did an awesome job experimenting with glazes for finishing! All classes have also been working very hard to create a visual narrative with their other clay projects. Each student has chosen a story to tell through their clay creations... here are some still in progress.